I’m in the process of moving my development work from Windows to Ubuntu (after getting frustrated with the poor experience on Windows). As a result of this I’m slowly looking for various options to replace certain things I’ve been using on Windows for years. One of these surprisingly crucial elements is Win Split Revolution – which allows me to, with an easy keyboard shortcut, reposition windows on my desktop in nicely even measures. I can easily have, for example, my browser occupy the left two-thirds of the screen whilst having another programme take up the right one-third. You won’t miss it until you’ve tried it! 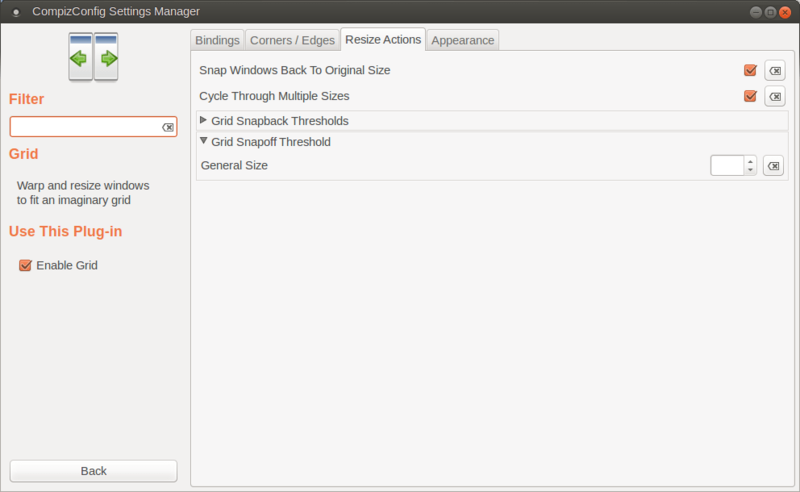 Ubuntu 13.10 comes with window re-positioning built in, however the default behaviour is for the repositioned window to occupy half the screen space. Ctrl + Alt + Numpad 4 would place your window in the left half of the screen. However you can modify some settings to allow multiple different window sizes. First you’ll need to install Compiz Settings Manager by running the following command.